Microsoft has just rolled out a new social networking site that experiments with the concept of social search and specifically targets students. The site, called so.cl (To be pronounced as “social”), is meant to help students to share interesting discoveries related to their curriculum with each other. At present, the site is restricted to a handful of universities such as the University of Washington, Syracuse University, New York University and a few other schools. Others who may be interested in this project can express an interest in the project by signing on using their Facebook id or emailing microsoft. The site looks like a combination of features from Facebook and Google+. It will have a combination of search, web browsing and social networking features. 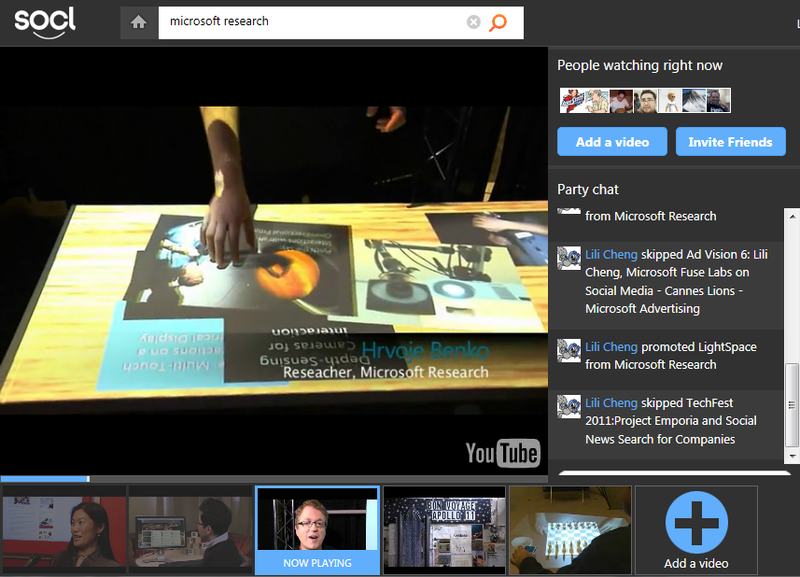 Bing powers the search function of so.cl. Users can create ‘rich posts’ by finding interesting images and links on the web, and using So.cl’s montage function to assemble them automatically into a cool visual. They can also share videos with friends or any users via ‘video parties’. Although the name sounds like a video party is a variation of a Google+ Hangout, it is actually just a simple way to search, and quickly assemble a list of movies to view together with friends. The logic behind the launch of this site for students is the belief that many students would be interested in the same kind of information. Such a social network would make it easier for students even from distant places to share their information with each other. Microsoft has clarified that this site is not meant to replace any existing social network such as Facebook or Twitter or LinkedIn. In fact users have to sign in through their Facebook account in order to access this new social network.